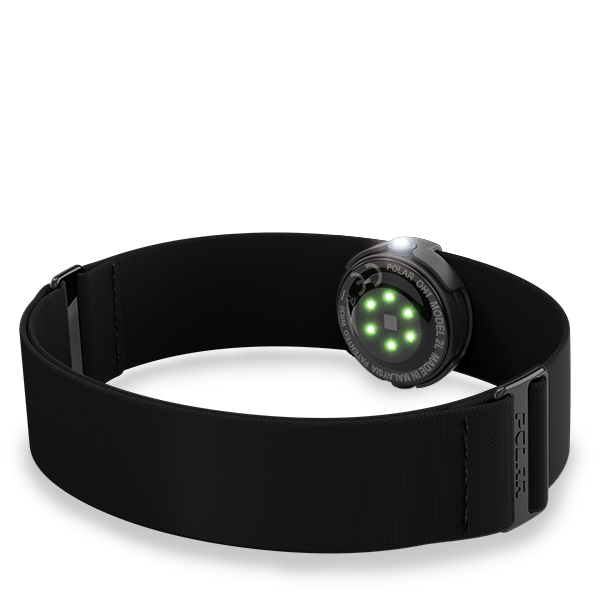 Polar OH1 is an optical heart rate monitor armband that combines versatility, comfort and simplicity. It fits comfortably around your arm and tracks heart rate with Polar's high quality optical heart rate solution. Not a fan of chest straps Polar OH1 is a great alternative for you. it works with all Bluetooth-compatible Polar sports watches, trackers and cycling computers. Polar OH1 is a great companion to Polar Beat, Polar's free fitness and training app. With Polar OH1 and Polar Beat you get live heart rate data right on the screen of your phone and audio guidance to your headphones during your workout. Prefer training without a watch or phone Polar OH1 has an internal memory that can store up to 200 hours of training data. You can easily sync your data to Polar Flow, Polar's free app and web service, via Bluetooth or with your computer via the USB adapter. 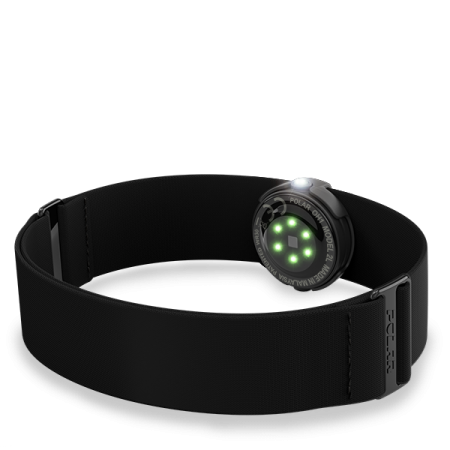 Polar OH1 tracks your heart rate with Polar's high-quality 6-LED optical heart rate solution.